AKIPRESS.COM - Saroj Kumar Jha, World Bank Regional Director for Central Asia, spoke about Rogun Assessment Studies after the fifth information-sharing and consultation meetings on the studies took place on July 14-18 to discuss the draft Techno-Economic Assessment Study Phase 2 Summary Report and the draft Environmental and Social Impact Assessment report with 46 civil society groups and government officials from six riparian countries – Afghanistan, Kazakhstan, Kyrgyzstan, Tajikistan, Turkmenistan and Uzbekistan. - What is the purpose of the Rogun Assessment Studies? - The purpose is to provide independent, scientific input to decision-making that will affect many people. The Techno-Economic Assessment Study (TEAS) and the Environmental and Social Impact Assessment (ESIA) assess the feasibility of the proposed Rogun dam from the technical, economic, environmental, and social perspectives. The studies also compare various dam design options with alternative ways to meet Tajikistan’s energy needs. In parallel with the analysis we have promoted a constructive, fact-based dialogue among the riparian countries (Afghanistan, Kazakhstan, Kyrgyzstan, Tajikistan, Turkmenistan, and Uzbekistan) through a series of consultations over the past four years. The fifth consultation and comment period closes on July 29, 2014. The Assessment Studies for the proposed Rogun HPP are then planned to be finalized in August, after comments from riparian governments and civil society stakeholders have been carefully considered. Disclosure of final reports by the Consultants and by the two Panels of Experts will mark the end of the assessment process. 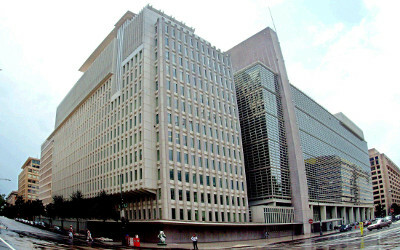 - What has been the World Bank’s role in the study process? - The World Bank has been involved to ensure that the studies were completed to international standards and through an independent, transparent process. We agreed to play a substantially enhanced role in overseeing the studies, including (a) selecting the technical consultants to carry out the studies, (b) supervising and reviewing the studies, (c) establishing two International Panels of Experts that were contracted and financed directly by the World Bank to review the assessments, and (d) hosting riparian consultations. The Bank’s involvement in the studies does not imply any financial commitment to support construction of the proposed dam. - What has been done to ensure the Assessment Studies are independent, transparent, and of high quality? - The TEAS was conducted by a consortium headed by Coyne & Bellier and the Environmental and Social Impact Assessment ESIA was conducted by by Poyry Energy Ltd. These international consultant firms were contracted on a competitive basis by the Government of Tajikistan and the World Bank was directly involved in their selection. Throughout the process, the Bank technical team has been involved in a detailed review of all studies and reports produced by the consultants. In addition, representatives from the two independent Panels of Experts (an Engineering and Dam Safety Panel and an Environmental and Social Impact Assessment Panel), directly contracted by the World Bank, reviewed the draft reports at all major stages of the assessment, attended all of the information-sharing meetings, and visited the proposed Rogun site and Dushanbe many times. They have ensured due diligence and international quality standards, as well as objectivity and credibility through their independent advice and guidance. We are pleased to have a world-class team on this. All interim and final draft reports, as well as presentations by the consultants and Panels of Experts, have been made publicly available at www.worldbank.org/eca/rogun to ensure transparency. The CVs of the Panels of Experts are also available on the website. - When will the Assessment Studies be finalized? - The riparian consultation and information-sharing process underway now is the fifth such process to be held in the past three years and marks the end of the assessment phase. The six-week consultation period (June 17 – July 29) provides an opportunity for all stakeholders to present their views on the draft studies. Consultation meetings with civil society and riparian governments were held during the week of July 14 to provide an opportunity for them to interact directly with the consultants and independent Panels of Experts. The studies will only be finalized after comments from riparian counterparts and civil society stakeholders are carefully considered. The reports are planned to be finalized in August. Along with the final reports by the Consultants, Panels of Experts’ reports and World Bank Note on Key Issues for Consideration on the Proposed Rogun Hydropower Project will also be finalized and disclosed simultaneously. As the Rogun Assessment Study process comes to an end, we will continue to support any next steps in dialogue requested by the riparian countries, such as, for example, further analysis of benefits and trade-offs from different operating modes or further exploration of institutional mechanisms for cooperative water management. - What was particularly discussed at the 5th riparian consultations? * Recommendations (environmental management plan, further studies). - What are the main findings and recommendations of the Assessment Studies? - In the TEAS, three possible dam heights were studied (1290m, 1255m, and 1220m). The draft consultants’ report concludes that the 1290m design option yields the highest total system cost savings and the highest net present value, meaning that the proposed Rogun project is a lower cost option when compared to any of the alternatives to meeting Tajikistan’s energy needs. The relatively shorter lifespan (due to sedimentation) and the lack of downstream flood protection associated with the 1220m option are arguments against the 1220m option. However, the trade-offs between the 1290m and 1255m design options could be explored further. From a dam safety and engineering perspective, the draft studies find no major differences in risks among the different dam height options. The study notes that several of the underground structures, including the two existing diversion tunnels and the powerhouse cavern, would require strengthening and remedial measures, as well as comprehensive monitoring, in order to meet international norms. In the ESIA, the consultants conclude that there are two important environmental and social issues that would need to be addressed in detail: (a) resettlement of households living near the dam site and in the reservoir area, and (b) potential reductions in summer flows, which could negatively affect downstream irrigation. The ESIA identified measures to mitigate the impacts of involuntary resettlement and the current estimate of the costs of resettlement is included in the economic and financial analyses for each of the three dam design options. Regarding resettlement, a draft Resettlement Policy Framework is under preparation which, among other things, states the resettlement principles and organizational arrangements that would apply for a second stage of resettlement. A draft Resettlement Action Plan for the first stage of resettlement is also under preparation and would provide details on project-related resettlement including an analysis of legal frameworks, proposed institutional arrangements, and data on affected people. Additional attention is to be given to managing social impacts in order to move forward in a manner consistent with international good practice. Regarding downstream flows, the draft ESIA notes that a dam at the Rogun site could impact flows in two ways: how it is filled and how it is operated. Tajikistan has not used its full water allocation as set in regional annual allocation decisions but has indicated that it intends to use the full allocation in the future, with difference between its full allocation and its actual use to date averaging 1.2 bcm annually for 2005-11. Using full allocation would reduce downstream flows. If a dam were built at the Rogun site, Tajikistan has indicated that it would use its full allocation to fill the resulting reservoir and subsequently for irrigation. Regarding dam operation, the draft studies by the consultants confirm that Rogun could be operated in a way that maintains historical flows. The Nurek reservoir is currently used to transfer 4.2 bcm of water from summer (April-September) to winter (October-March) release and maintenance of historical flows is defined in the studies as limiting the summer to winter transfer to this amount. Given the interest of downstream riparians to maintain present seasonal flows in the future, the Government of Tajikistan has indicated that it would operate any future dam at the Rogun site so that the same amount of water is transferred from summer to winter release as is currently done at Nurek, hence the draft studies note that there would be no change in flow pattern from summer to winter. ESIA Panel of Experts is recommending strengthening of existing water allocation arrangements with other riparians to ensure that filling and operation regime are implemented as proposed by the Government of Tajikistan. - Is the proposed Rogun HPP feasible? What additional issues need to be considered? - According to the draft consultants’ reports and the independent Panels of Experts, it is feasible to build and operate a dam at the Rogun site within modern international norms but contingent on incorporating the experts’ recommendations on modifying the original design, implementing the mitigation measures, and establishing monitoring systems throughout the life of any future project. However, the feasibility of actual construction and the realization of estimated benefits would depend on the availability and terms of financing and the institutional arrangements for its construction, filling, and operation. - What are the design modifications and mitigation measures recommended by the consultants? * Improve the measures undertaken to stabilize the powerhouse cavern and monitor their performance. - Have alternatives to Rogun been considered? - The World Bank has looked at a range of alternatives and examines various alternatives for meeting winter energy demand in the country. This analysis is a critical element in the decision-making process about Rogun. Our primary concern is helping Tajikistan solve its winter energy shortages in the most sustainable way possible. The Rogun Assessment Studies also include a thorough analysis of the “no-Rogun” alternatives including small and medium hydro projects, coal and gas-based generation options, and imports of gas and electricity. The draft studies conclude that any of the Rogun design options (three dam heights each with three generation capacities) is a lower cost option for meeting Tajikistan’s electricity demand than the non-Rogun alternatives. - Will the World Bank consider financing the proposed Rogun HPP? - World Bank financing for the Assessment Studies and consultation process does not imply that the Bank would finance construction of Rogun in the future. However, we remain a committed development partner in Tajikistan and Central Asia. We will continue to encourage a riparian dialogue about sustainably managing the Central Asia region’s energy and water challenges in a mutually beneficial manner.